Can a dog change his spots? Would a dog learn to love a bath? 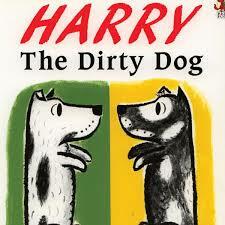 Well, Harry the Dirty Dog sure can! On March 6 the primary division attended a performance adapted from the book of the same title: Harry the Dirty Dog at the Richmond Hill Centre for the Performing Arts. Students were treated to a morning of spirited theatre with singing and dancing from the entire cast. After, students were treated to a question and answer session from the cast and got a behind the scenes look at the props and sets. Wow, those costumes changes are quick. Bringing a beloved book to life is a great way to foster a continued love of reading!